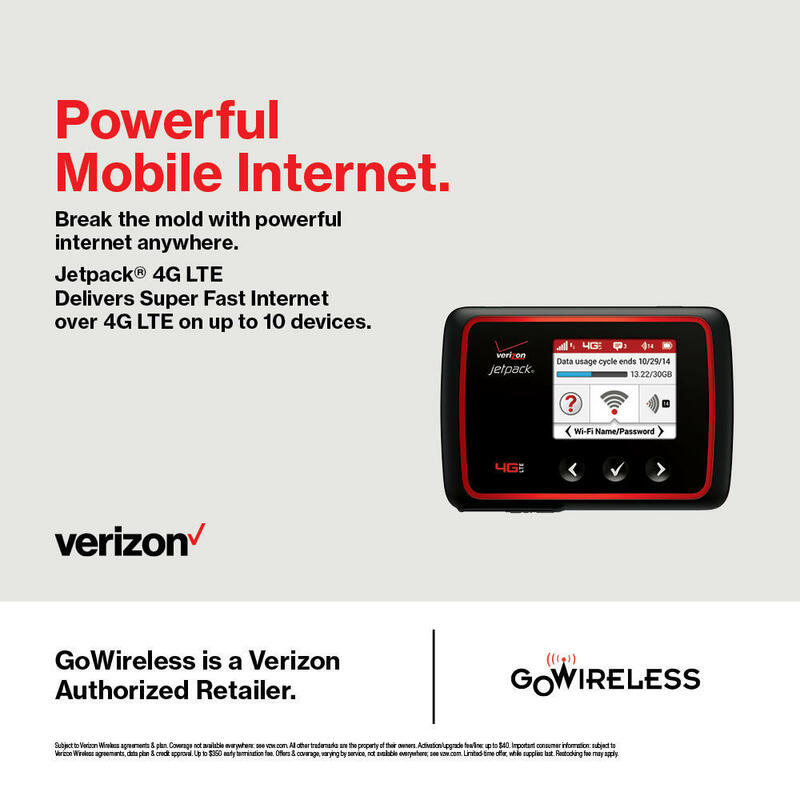 In the fast-paced and ever-changing industry of wireless connectivity, it&apos;s no longer just about cell phones. It&apos;s about staying connected with the people who matter to you most and having information and entertainment at your fingertips. We help people find cutting-edge technology solutions, including smartphones, tablets, email, text, internet, news, music, video, social networking, mobile internet and discounted television bundles. We also offer wireless communications device protection (insurance and replacement) as well as home security and automation solutions. Shop our online store for the latest in smartphones, tablets, basic phones, prepaid phones, and specialty phones, or visit one of our locations near you. 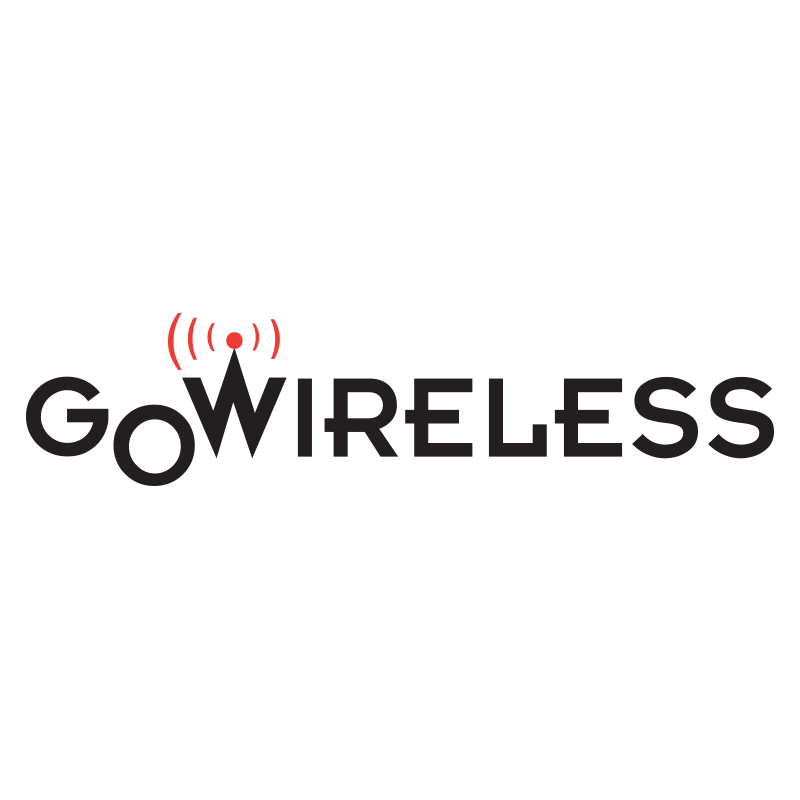 Founded in Southern California in 1995, GoWireless has continually strived to be a driving force in the wireless industry. With the rapid growth and ever-changing technology of the wireless industry, it has always been our corporate vision to enrich people&apos;s lives through wireless communications while providing exceptional customer service. With stores coast to coast, we are accomplishing our goals. 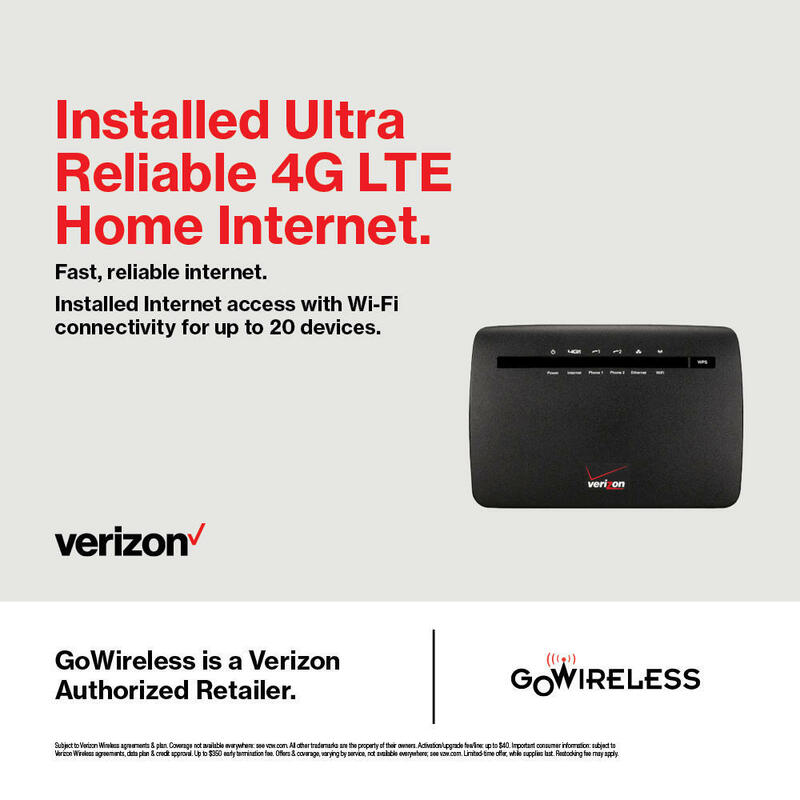 Because of our outstanding partnership with Verizon Wireless, we can offer our customer&apos;s quality products and services on the nation&apos;s largest 4G LTE network and the largest, most reliable 3G network. We pride ourselves on delivering industry-leading customer service online, over the phone and in person. 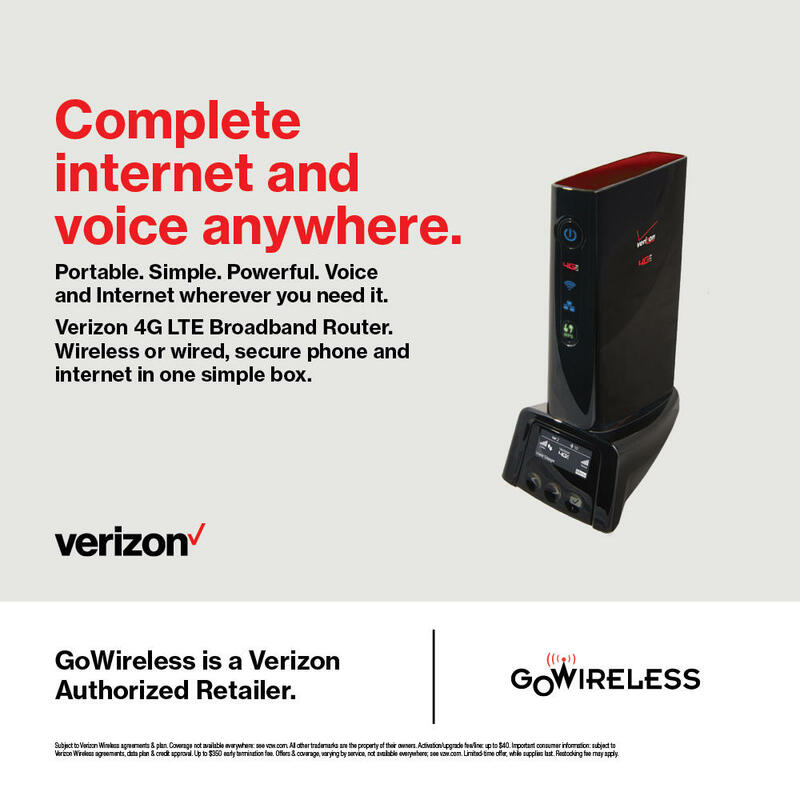 Because of our commitment to our customers, we offer exclusive, one of a kind packages such as the GoAdvantage and Ready 2 Go. 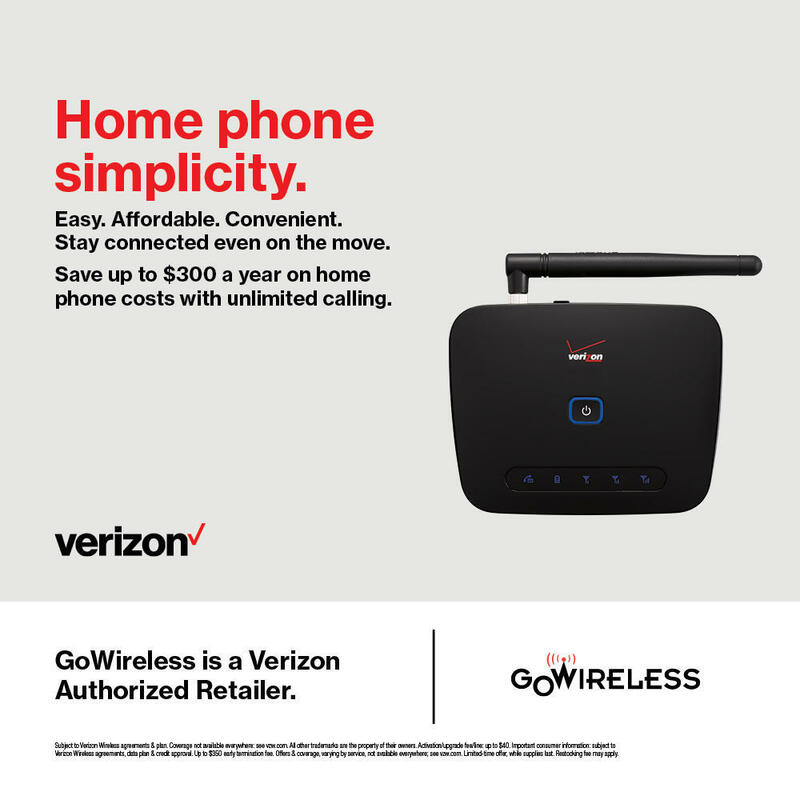 These exciting offers make sure our customers stay powered, connected and protected!